Can You File for Bankruptcy with a Pending IRS Audit? - Crooks, Low & Connell, S.C.
Can You File for Bankruptcy with a Pending IRS Audit? Have you gotten over your head into debt? Filing bankruptcy could provide you with a means to end your debt nightmare and make a fresh start. But what if you’re in the middle of being audited by the IRS? Can you still file for bankruptcy with a pending audit? Yes, but there are some things you should know about filing for bankruptcy during an IRS audit. When you file for bankruptcy, one of the first things to happen is what’s known as an automatic stay. An automatic stay prohibits creditors from trying to collect the money you owe them. With an automatic stay in place, you’ll no longer be subject to collections efforts, including calls and letters from collections agencies, wage garnishments, and repayment plans. The automatic stay begins as soon as you file for bankruptcy. However, it won’t stop the IRS from completing their audit, because bankruptcy stays do not apply to IRS audits. The bankruptcy may be able to stop any collection efforts by the IRS, but they can still file a relief of stay to collect on debts you owe to them. The 10-year statute of limitations on tax debt will be extended for the entirety of your bankruptcy proceedings, plus an additional 30 days for administrative procedures. While filing for bankruptcy during an audit won’t stop the audit from proceeding, it may help relieve your tax debt. 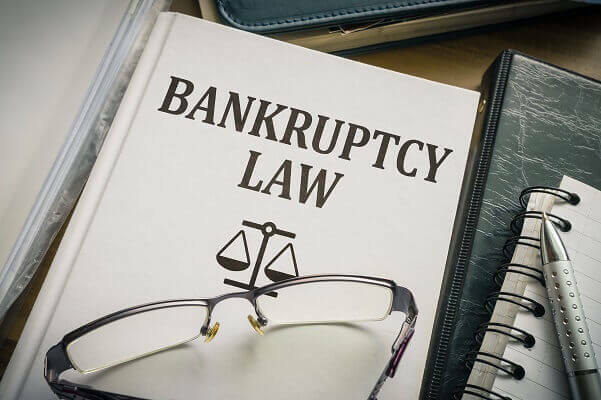 Tax debts that are dischargeable in bankruptcy include personal income taxes which are at least three years old from the due date of the tax return. You must have filed the return yourself, and the tax in question must have been assessed at least 240 days ago. If the IRS has filed a lien against your personal or real property, you may not have equity in that property. Other types of debt that you might not be able to include are child support, drunk driving charges, fraud assessments, and trust fund payroll taxes. Some debts are considered priority debts, and must be completely repaid under Chapter 13 bankruptcy. If you’re considering filing bankruptcy to help deal with IRS tax debts or an audit, you should consult with an attorney. There may be other solutions that are better suited to your needs. An experienced bankruptcy attorney at Crooks, Low & Connell, S.C. can examine your case and let you know what your options are. To schedule a consultation with one of our attorneys, call our offices in Wausau, WI at (715) 842-2291 or complete our online contact form today.